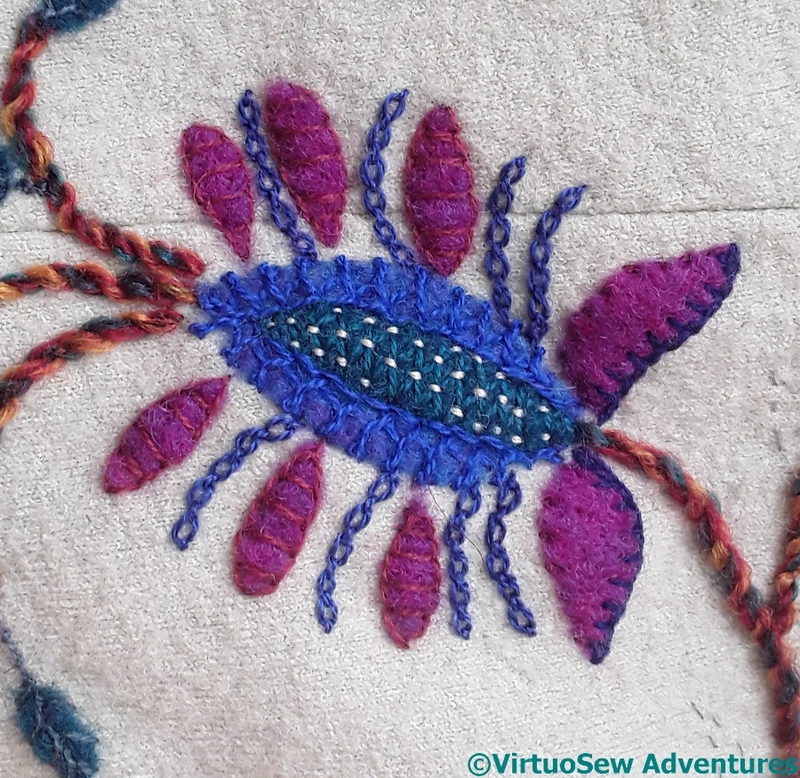 Long live stitching! It is amazing how bare the bare pieces of felt look compared to after you have added the stitches. Stitches do it! I haven’t used the Crested Chain in ages and I guess it is time I did some, maybe on my crazy quilt block. Thank you for the inspiration, Rachel. 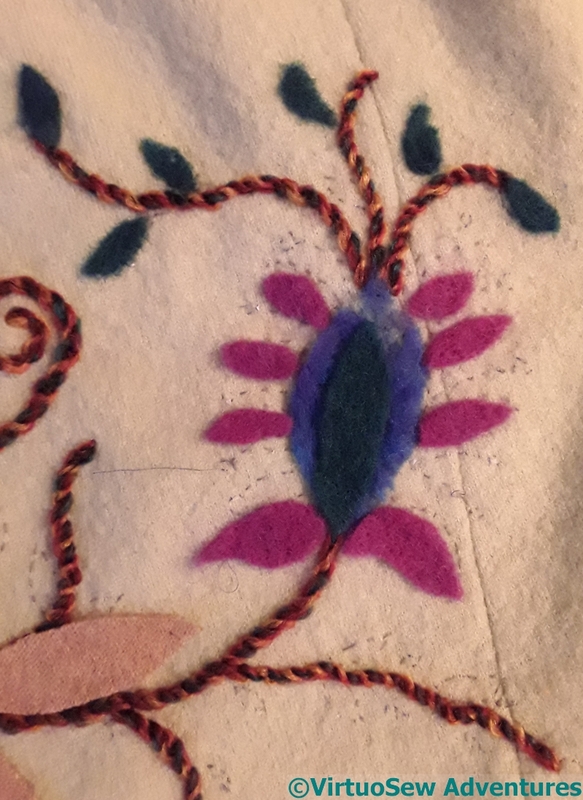 This work is really so lovely, what gorgeous colours but what really draws my attention is the blue crested chain stitch on the felt which as you mention adds texture rather than contrast, something we don´t always take into consideration.. It is a fruit :). What a lovely piece Rachel. All the different textures of the stitches; pure genius! This is going to be some coat! Love the felt work.